We're excited to announce the addition of the 'Set Preferred Channel' action, a feature made necessary by our growing list of channel integrations. The contact's address type priority corresponds with the channel type (e.g. phone number) that possess multiple channels (e.g. multiple phone numbers). If the contact has never interacted with a channel linked to your account, TextIt will prioritize the channel whose number has the largest prefix overlap. For example, if your channels are +12505661212 and +2505551212, and you are sending an SMS to or calling +2505661231, TextIt will use the +2505661212 Channel because it overlaps the most. In most cases, TextIt is able to discern the carrier associated with a contact's phone number and prioritize channels based on carrier, though this depends on carrier behavior. switching between channels of the same type (e.g. phone numbers). 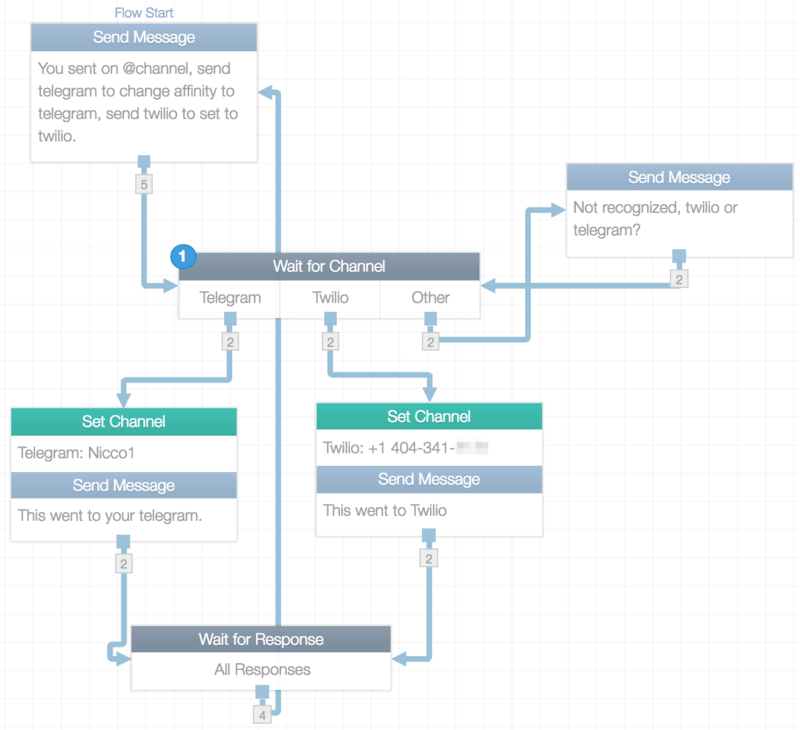 switching between channels of different types, like phone numbers and Telegram bots. assigning Android channels based on contact fields, prefix overlap or group membership (to get around throughput restrictions). switching between toll-free and standard virtual numbers. assigning a number based on a user’s number’s country code, area code, and more. 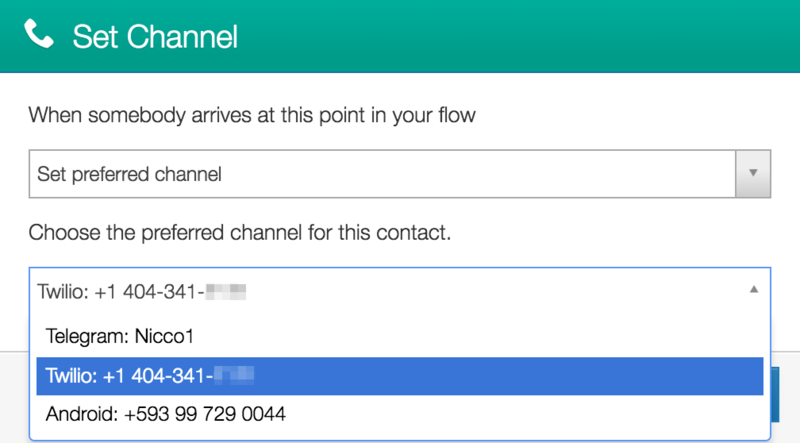 TextIt will match contacts with channels according to the above-mentioned criteria until a contact enters a flow containing a 'Set Preferred Channel' action. The contact will be permanently mapped to the selected channel until (a) they send a message to a different channel or (b) their preferred channel is changed by another 'Set Preferred Channel' action.